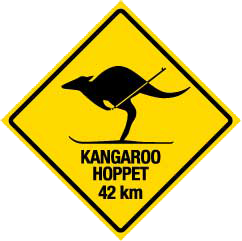 A Down Under winter ski trip to Lake Mountain Alpine Resort and to the Kangaroo Hoppet marathon race. We are able to help out with accommodation, travel, training at Lake Mountain Alpine Resort, then travel to Falls Creek for the marathon weekend. A no cost trip for coaching and instruction, accommodation in the village of Marysville, leading up to the marathon race, travel to Falls Creek and help out with a place to stay at Falls Creek. Skiing in Australia is a truly unique experience, skiing at 1400 meters, at Lake Mountain Alpine Resort, and so close to Melbourne, just 2.5 hours to the CBD. Falls Creek is the home of the marathon race, and has over 1000 racers taking part, but has a number of distance options for all ages. Falls Creek is a 4 hour drive from Lake Mountain, along the Great Alpine Road. Please contact Alan Eason if you are thinking of making the trip Down Under and we will all we can to help out with making this a fantastic trip and experience.